STAFF — Brighter Boston, Inc.
Daniel H. Jentzen is a Lighting Designer, Neuroscientist, and Teacher. He has created lighting for over 600 plays, musicals, concerts, and special events including Oprah, Hillary Clinton, Stephen Hawking, LL Cool J, Alison Krauss, Aziz Ansari, Conan O’Brien, En Vogue, Christine Ebersole, Kelli O'Hara, Brian Stokes Mitchell, Vice Media, Google, and the Walt Disney Corporation. Daniel also conducts research in multisensory perception, exploring the unique power of the arts in the human mind. He teaches lighting design at Boston Arts Academy and Salem State University. He is Director of Education Outreach at High Output, Inc. He founded Brighter Boston in May 2013 to give teenagers something they weren't getting anywhere else: a sense of belonging in the real world. Daniel holds a BFA in Drama from Carnegie Mellon and an Ed.M in Educational Neuroscience from Harvard University. Aja M. Jackson is a Boston-based lighting designer. Recent regional credits include Hear Word! (American Repertory Theatre), Straight White Men (New Repertory Theatre), The Leftovers (Company One – Strand Theatre), The Last Wife (WAM Theatre) and Wit (Calderwood Pavilion – Boston Center of Performing Arts). Other credits include the Midwest tour of What The Wind Taught Me and The Biomorphic Dance Festival in NYC. Aja is Resident Lighting Designer for interdisciplinary, site-specific movement company Nourishment. Previously she worked as a Stage Manager with the Denver Center Theatre Company and in Production Management with The Santa Fe Opera. Aja holds an MFA in Lighting Design from Boston University, a BFA in Lighting Design from the Johnny Carson School of Theatre and Film, and a BA in Dance Performance from the UNL School of Music. Aja is thrilled to be a part of Brighter Boston and aims to give teens the experience, opportunity, and hope to create their own artistic paths. Becky is a freelance lighting technician and programmer based in Boston. Recently she has been a master electrician for shows with SpeakEasy Stage Company, Lyric Stage Company, Wheelock Family Theater, White Snake Projects, Jose Mateo Ballet Theatre, World Music/CRASHarts, and New England Conservatory. She is also the lighting programmer for Boston Lyric Opera and enjoys the occasional lighting design project of her own. Becky has loved having Brighter Boston Interns involved in many of her shows. They are working alongside professional electricians and fully integrated into the team, learning technical and soft skills that will move them forward in any career they chose! Holly started lighting shows in Boston during the folk revival of the 1980’s. She grew up in northern Massachusetts and studied at Boston University, starting in community theater and moving into music production, specializing in acoustic, jazz, opera, ballet and vintage rock shows. She has toured with both music and dance programs, and has designed at most of the major venues in the Boston area and many national venues. 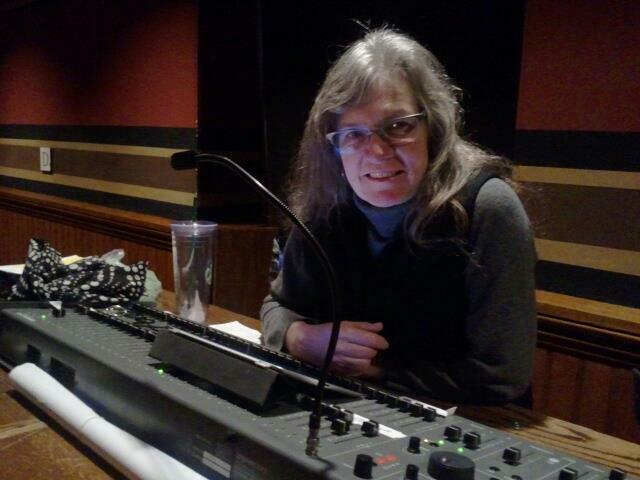 She has been technical Director for the Cambridge River Festival since 1990, work extensively at Harvard University, and has been the technical director for the Ko Festival of Performance in Amherst since 2009. Laura Hildebrand is a Boston-based lighting designer for theater, concerts, and dance. Recent credits include Macbeth and Equivocation (Actors' Shakespeare Project, Lighting Designer), A Christmas Celtic Sojourn (WGBH, Lighting Director), and Allegiance (Speakeasy Stage Company, Associate Lighting Designer). She is also the resident lighting designer and lighting teacher at Brimmer and May School in Chestnut Hill. Laura is a graduate of Princeton University, and has held staff positions at the American Repertory Theater and Emerson College Office of the Arts.